Seismology is the study of vibrations and waves through the Earth’s interior. By studying how vibrations are transmitted through the Earth we can study the structure of the Earth as a whole. Similar methods have been applied to the Sun, known as helioseismology, and through it we have an understanding of things such as the temperature and pressure of the Sun’s core. We’ve also been able to study some stars in this way (asteroseismology) from which we can determine things like a star’s age. While it’s a powerful tool, seismology methods pose a challenge for gas planets. But because Saturn has a complex ring system, its vibrations can be measured indirectly. The process is known as Kronoseismology. If Saturn were a static mass, then the motion chunks of rock and ice that make up its rings would depend largely on the gravitational interactions between each other. But because Saturn is vibrating its gravitational field oscillates, and this induces wave patterns within Saturn’s rings. These patterns are subtle and difficult to observe, but in recent years we’ve been able to watch these changing patterns. The patterns are measured using the Cassini spacecraft orbiting Saturn. As Cassini orbits Saturn, it’s view of background stars are often occulted by the rings of Saturn. By observing a star as the rings pass in front of it, we can gather information how thick the rings are in a particular area. 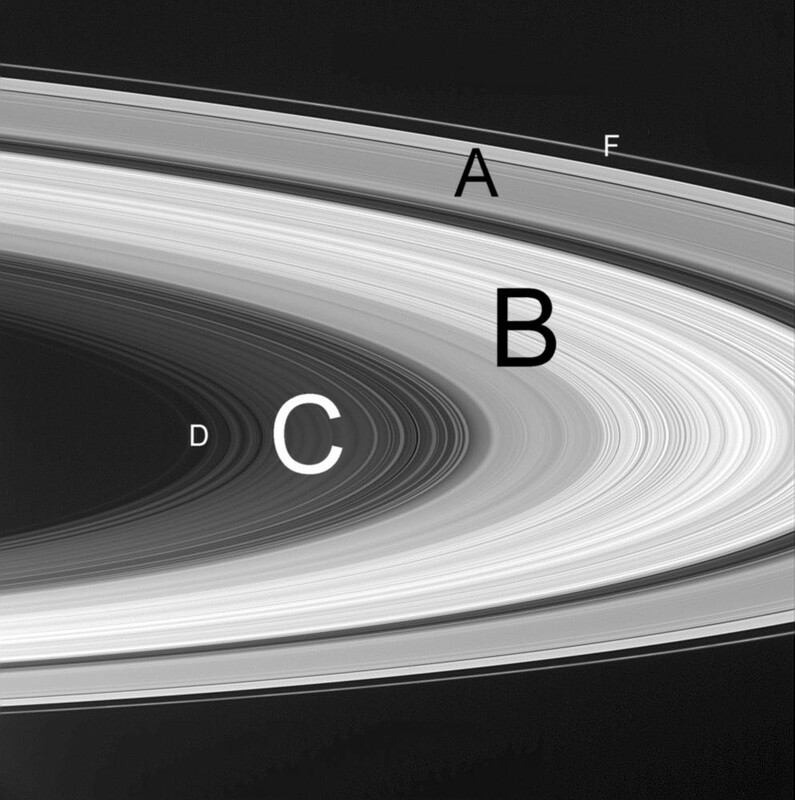 This is what a team did for Saturn’s C-ring. From the data they were able to deduce 6 wave patterns that oscillated too quickly to be caused by the gravitational tug of a Saturnian moon. Instead they are caused by the oscillations of Saturn itself. From this data, the team was able to verify that our model of Saturn’s interior is relatively accurate, though further analysis of these patterns will help us refine the model. Paper: M. M. Hedman and P. D. Nicholson. Kronoseismology: Using density waves in Saturn’s C ring to probe the planet’s interior. The Astronomical Journal, 146:12 (16pp), 2013.